Kate Spade Canada has an awesome offer available now! 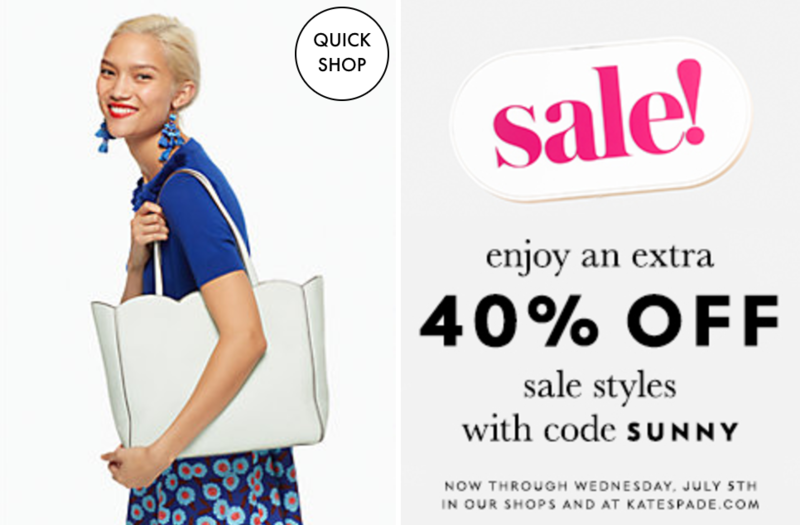 The Kate Spade offer includes: Save an extra 40% off sale styles. This Kate Spade offer is valid now until Wednesday, July 5, 2017 at 11:59 pm PT. Click here to get Kate Spade offers.